Breast cancer is a devastating disease that affects an increasing number of women in the United States. There are several options for both treating breast cancer and for reconstructing the breast after lumpectomy or mastectomy. The two main types of breast reconstruction are autologous (using your own tissue) and tissue expander/ implant reconstruction. Autologous reconstruction can be performed using tissue from your abdomen (TRAM) or tissue from your back (Latissimus). There are also other options for reconstruction that involve microsurgical free tissue transfer such as DIEP and SGAP. Expanders are often placed at the time of surgery (immediate reconstruction) or may be placed weeks to years later (delayed reconstruction). Sometimes there is not adequate tissue which requires a combination of both autologous reconstruction and tissue expander placement. There are pros and cons to both types of reconstruction as well as timing of reconstruction. Not all patients are candidates for immediate reconstruction, nor are all patients candidates for autologous tissue reconstruction. 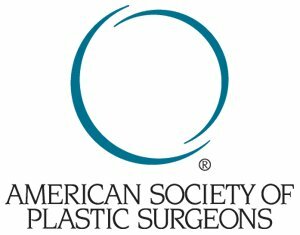 We have provided a link to the American Society of Plastic Surgeons (www.plasticsurgery.org) where you can obtain additional information on reconstruction. As you read through the information, write down questions to be answered at the time of your consultation for breast reconstruction. It is important that you have a thorough discussion with your plastic surgeon prior to proceeding with breast reconstruction.